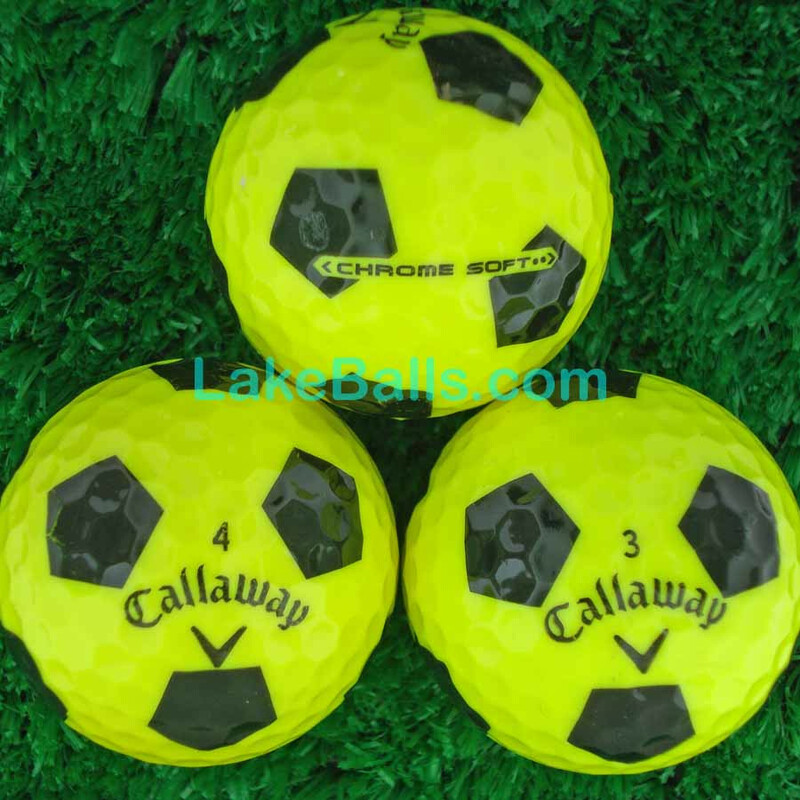 The Callaway Chrome Soft ball features a ground breaking SoftFast core. This advanced design reduces spin and retains energy off the driver to maximise ball speed and distance. Coupled with the optimised HEX aerodynamics, the Chrome Soft is made even longer by reducing drag and increasing lift. The low 65 compression lets you compress the ball on iron shots for incredibly soft feel, and amazing feel around the greens. The SoftFast core allows all golfers to compress the ball like a tour player. With the Yellow/Black Truvis pattern.